Xian Lim is confident that management always has the best interest of their love team in mind. Days prior to the announcement of Kim Chiu’s reunion project with Gerald Anderson, her rumored boyfriend Xian Lim had already aired his thoughts about that possibility. For months, rumors about the Kimerald reunion project have been spreading online but it was only on Monday evening when it was finally confirmed when they were revealed as the lead stars of the upcoming soap Ikaw Lang Ang Iibigin. Xian, in an exclusive earlier interview, aired his thoughts about the possibility of Kim being paired with other actors. “You know I’ve been very happy for Kim because you know, she has a lot of projects,” he began. What does he have to say to their solid KimXi supporters? “I’m sure, sabi ko nga sa mga previous interview ko, hindi naman kami pababayaan. We will be giving the best quality shows and quality stories. Para sa kanila lahat ito, sa lahat ng audience namin,” he said. 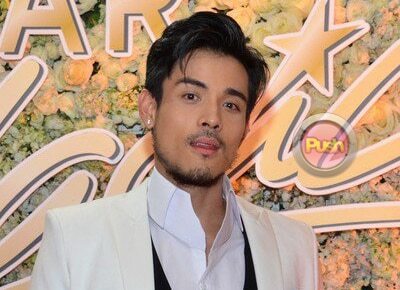 Xian is set to star in a film opposite Coleen Garcia for the first time. The film is to be directed by The Third Party director Jason Paul Laxamana. Xian will take on the role of a Bem, a writer who needs to escape from something but eventually meets a woman by the countryside named Abby played by Coleen. “It’s a learning experience for me kasi we learn a lot from working with other people,” said Xian about the idea of being paired with a new actress again. He continued, “It’s also exciting on my part na makatrabaho ng ibang leading lady because we’re going to be offering something new, the chemistry’s going to be something new. Lahat bago,” he said. According to Xian they will start shooting for the still untitled film next month.